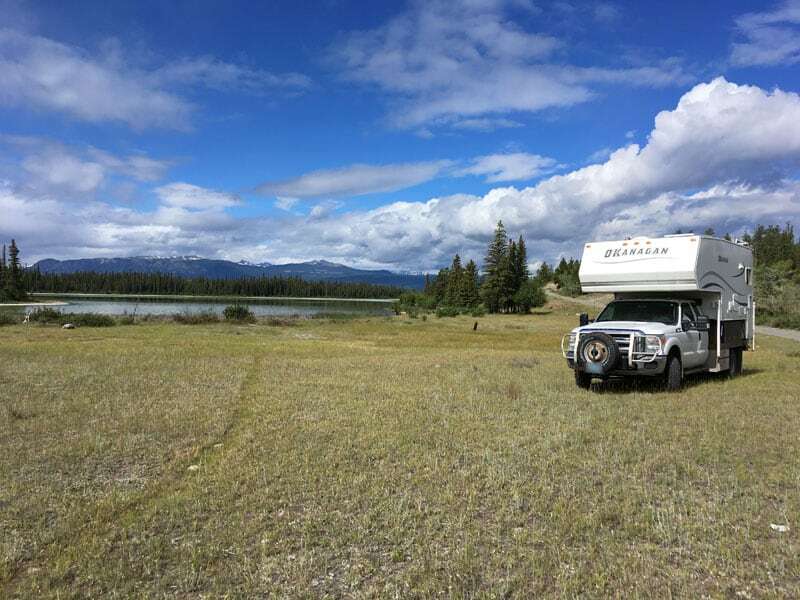 For Behind the Shot Part 9, we are featuring photos and stories from Elk Creek on Vancouver Island, Bonneville Salt Flats in Utah, Pinto Lake in British Columbia, Shiprock in New Mexico and many more! 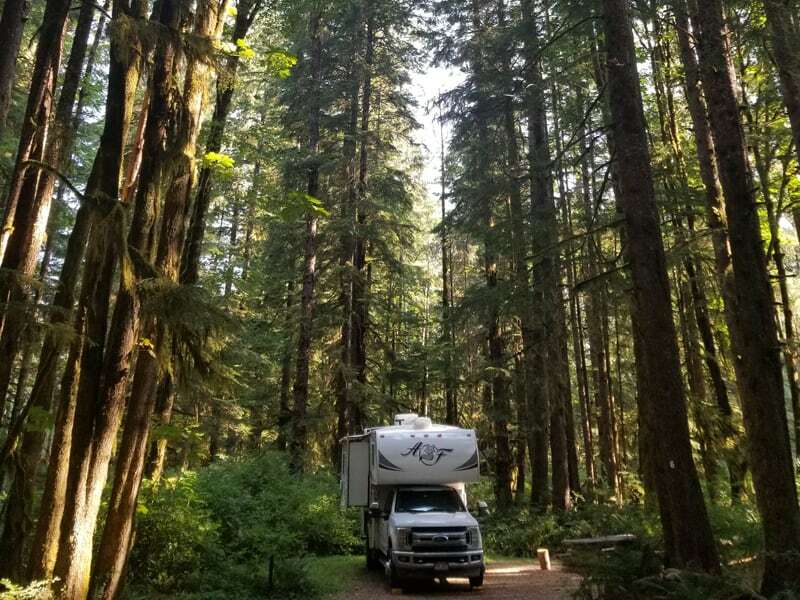 I stumbled on the campground. There were seven spots and we were the only ones there. 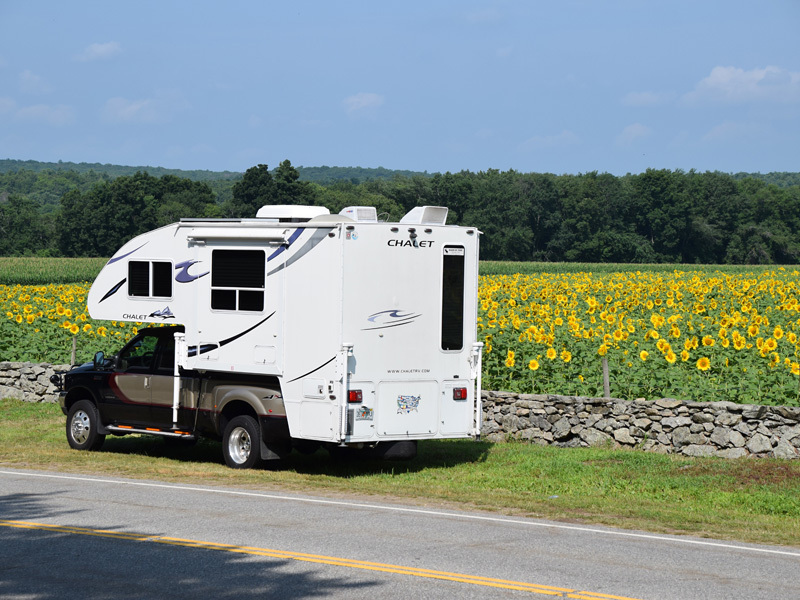 Buttonwood Farms in Griswold, Connecticut grows sunflowers every year to support the Make-A-Wish Foundation. We go there to support their cause and to get some of their famous homemade ice cream! This is a short bypass off of Highway #20 between Williams Lake and Bella Coola. It has two recreation sites here. There is no power, no water or toilets. It is just a great place to stop for lunch or an afternoon nap. It has beautiful views and you are not likely to have any company. 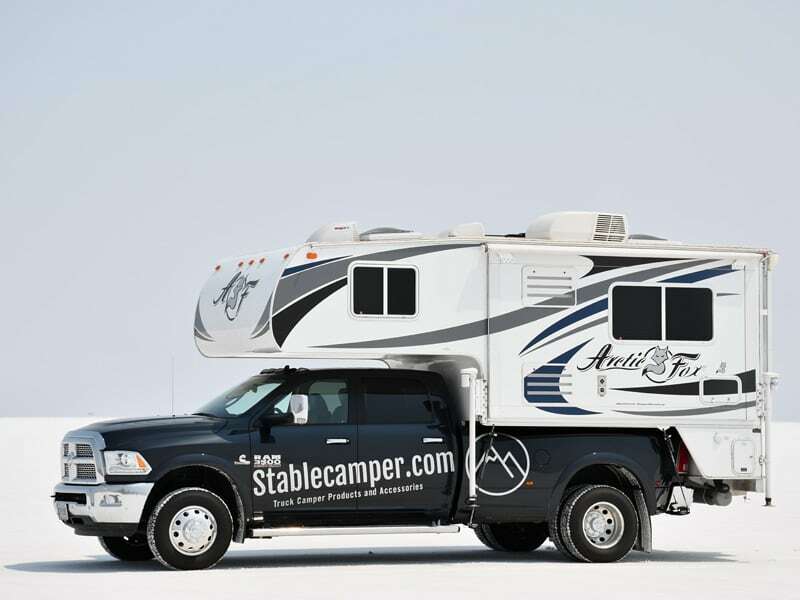 We were heading home from a family reunion and decided to stop at the Bonneville Salt Flats to take our truck camper for a spin on the racetrack and break some speed records. I’m not sure we broke any speed records, but the views were spectacular on the flats. Our side trip was followed promptly by a trip to the car wash for a quick scrub down before returning on our journey home. Camping on Bishop Creek in the eastern Sierras is so scenic that one forgets the rest of the world exists. This year the creek is exceptionally high. There is an equal amount of moving water background sound and the wildlife is around every corner. 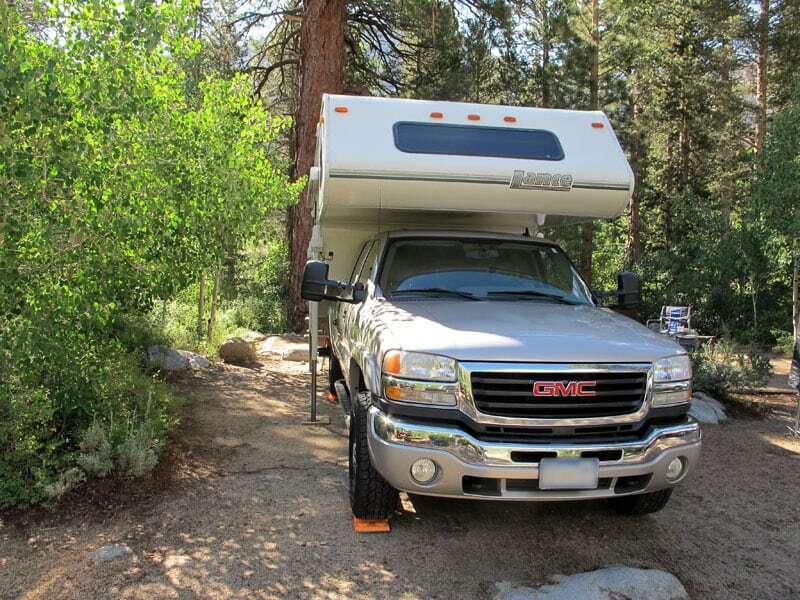 The campground is situated in a canyon surrounded by high mountain peaks. It is truly a site one doesn’t want to leave. 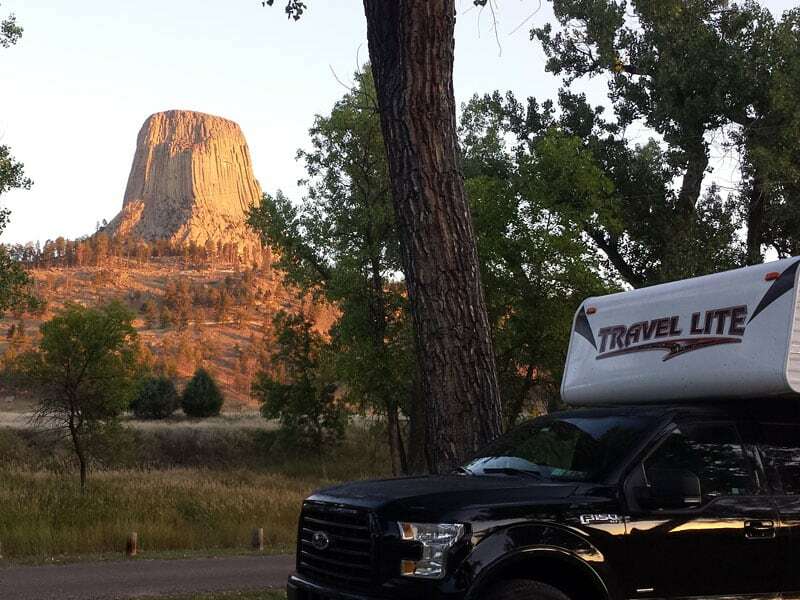 We got real lucky to be able to secure a fantastic site at the base of Devils Tower. We were able to hike up to the tower. The hike brings you through a busy prairie dog town as you continue upwards to the tower destination. The views looking back down to the campground and river valley were just as awesome.